Hey lovelies, My ETSY store https://www.etsy.com/shop/JennyLDesignsShop is celebrating its 3rd year anniversary this month. 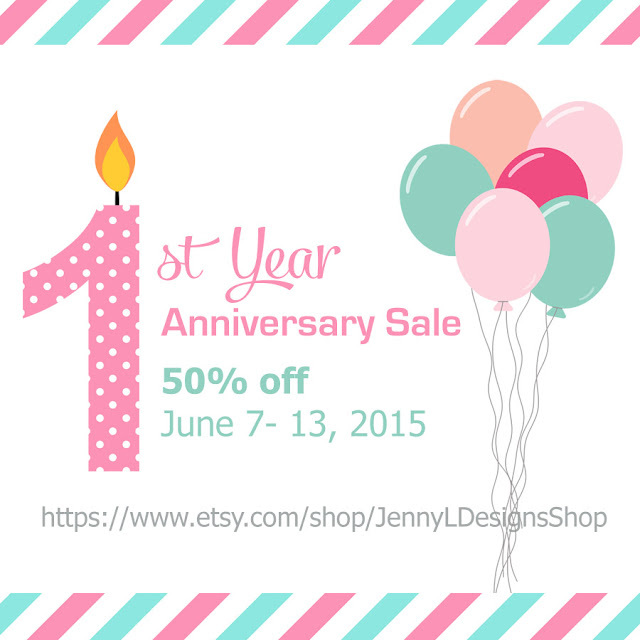 To celebrate, I'm having a 50% OFF sale on ALL items -including licenses. No coupon codes needed. THANK YOU FOR ALL YOUR SUPPORT! Hurry.. fill your carts now! Happy Anniv. to me. 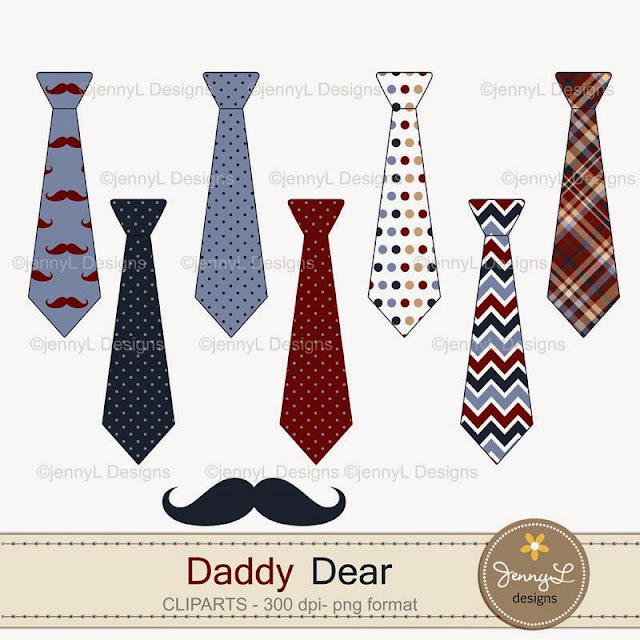 First of all, I want to say sorry for not updating this blog for quite sometime now.. Actually, I'm much active at my facebook page: JENNYLDESIGNSSHOP where you can see all the latest products and updates about my online stores. 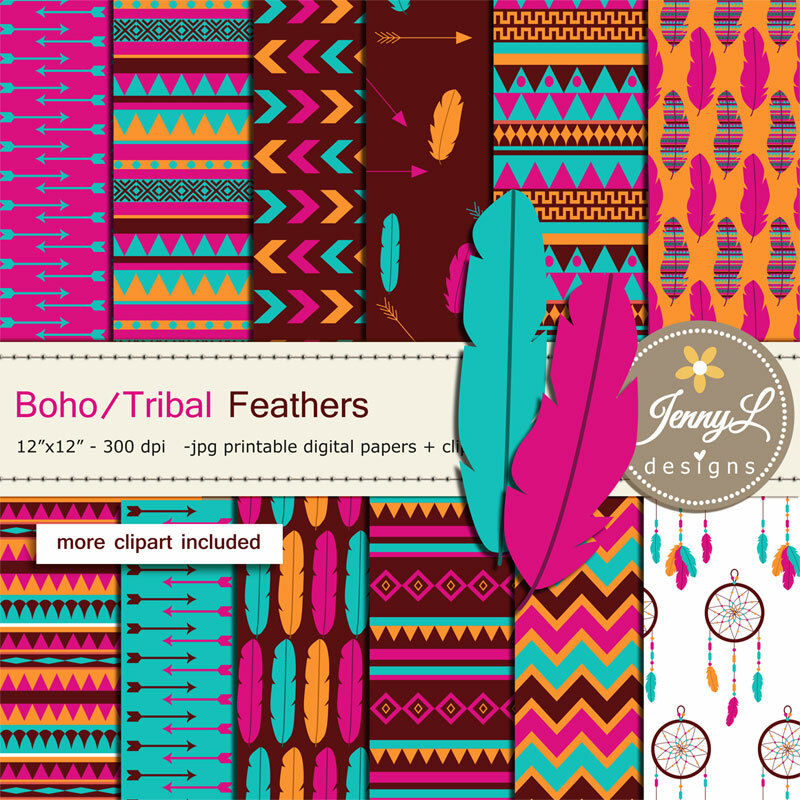 Anyway, here's one of the latest designs that I have Boho Feather Tribal digital papers and clipart SET that I made. I love how it turned out and the Boho style or look is so nice. You can use it on various projects that you might have. 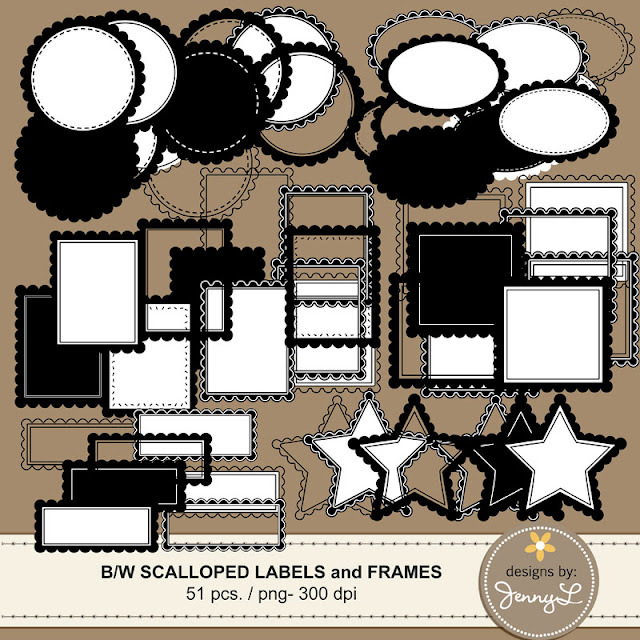 This set includes also png cliparts to match the papers. 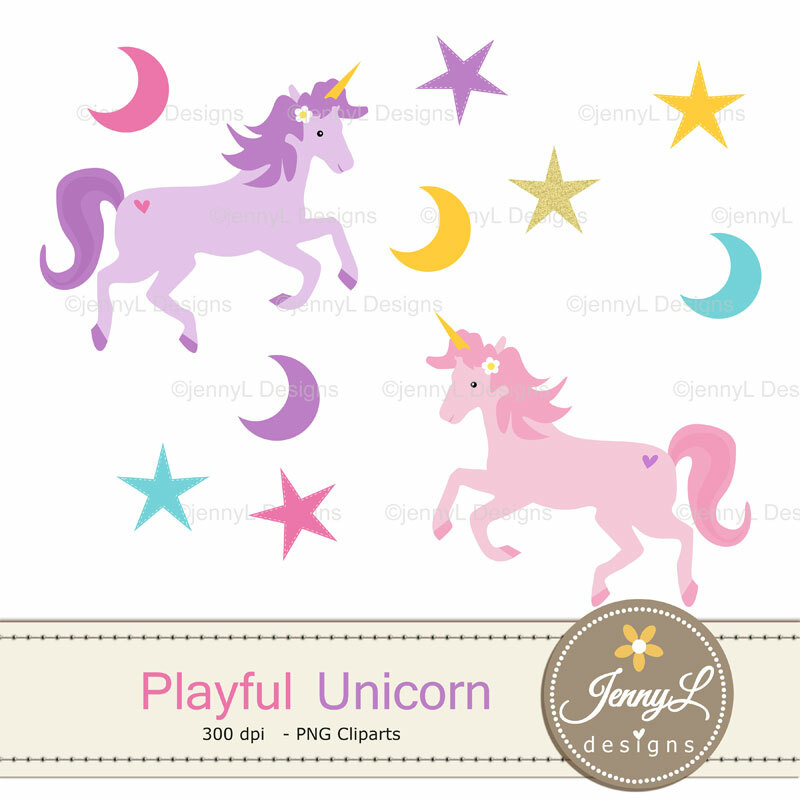 This is another version of unicorn set that I made. This time it's whimsical and I called the set MAGICAL UNICORN Gold Glitter Unicorn Digital Papers and Cliparts wherein some of the papers and the cliparts have glitters on them making it more special. Made this cute Playful Unicorn Digital Papers and Cliparts with my niece on mind. She loves cartoon unicorns so much that I saw her drawing all the time. Inspired by her artwork, I decided to make my own digital version and here is what I came up. 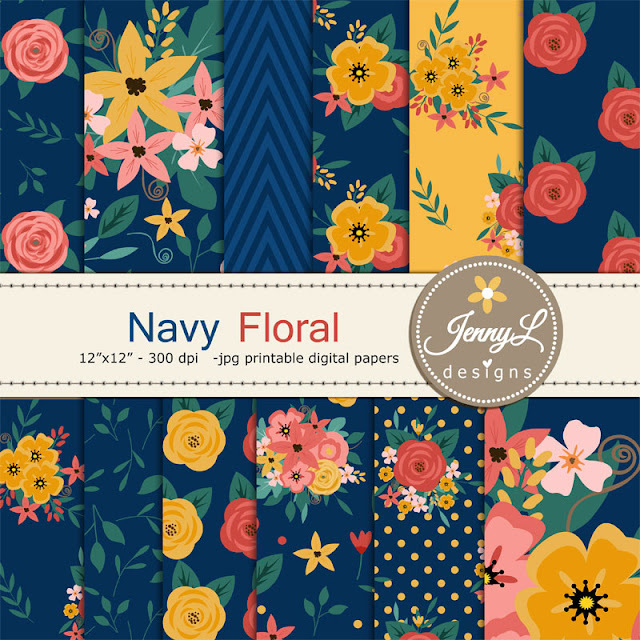 I've been so inspired to make floral digital papers lately and here is what I came up the other day, Navy Blue Floral digital paper, Wedding Floral Paper Loving the navy blue backgrounds. 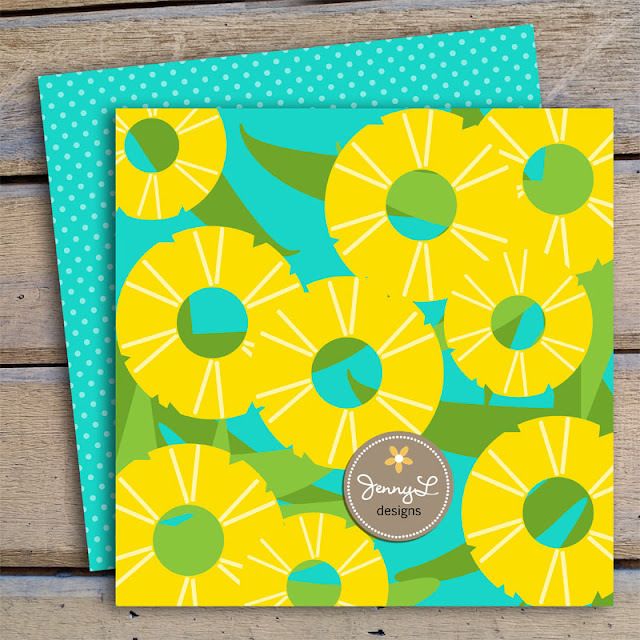 The coral and yellow flowers stand out in the papers. 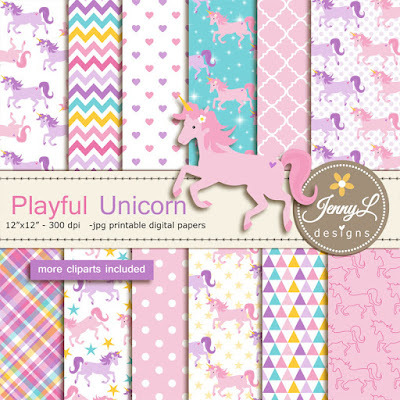 Use them to make invitations, planner stickers, digital scrapbooking and more. Wow, I can't believe it! 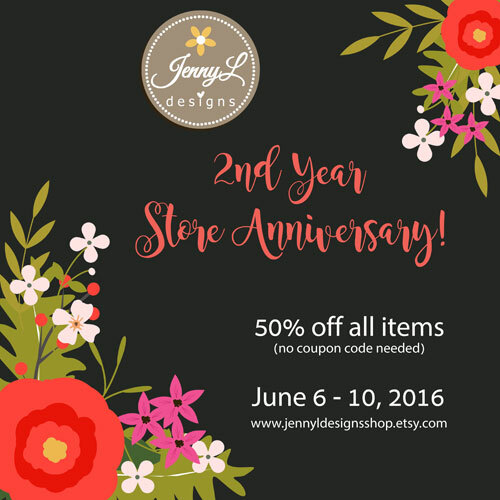 My ETSY store JENNYLDESIGNSSHOP will turn 2 this June 7th. If I remember it right, I'm afraid and anxious if my store will sell but I created my store anyway with the strong push of my niece who told me to open a store at ETSY. I have been creating digital scrapbooking kits for the last 8-10 years and I could not believe that ETSY will be my home for 2 years now. I have digital papers, cliparts, scrapbooking kits and some overlays at my store and thankfully I have 6,000+ sales and counting. My heart is full of joy and I hope that my customers will find my products useful. I'm creating more stuff all the time and wish that my creative juices will still flow so I can create more stuff.. So don;t forget to visit my store in my upcoming SALE... see you there! 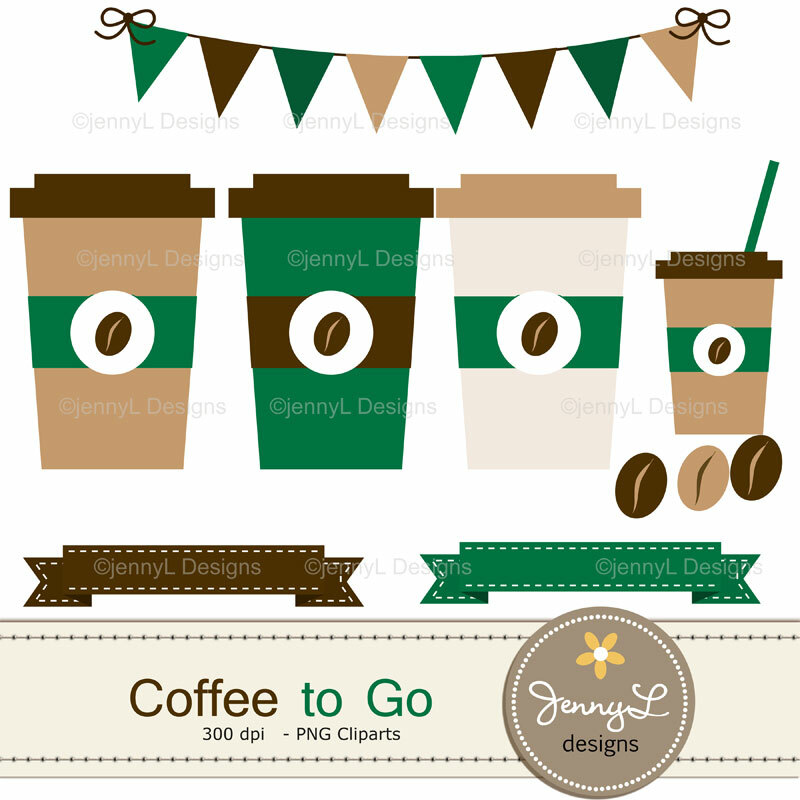 These Coffee Digital papers and Coffee bean Clipart, Coffee on the Go for Birthday, Scrapbooking Paper Party Theme, 12x12 Printable Digital background papers are ideal for creating various art projects such as scrapbook layouts, invitations, greeting card, labels, gift tags, stickers, and more. 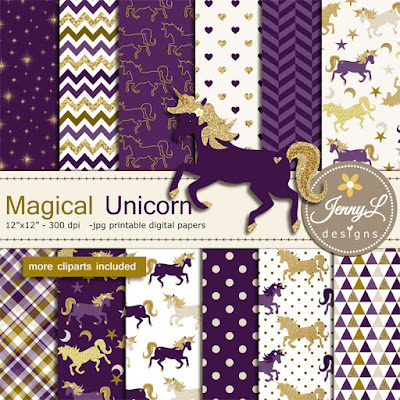 I have been into graphics designing since 2005 and it started when I made some digital scrapbooking kits. I have been using my old logo since 2007 and I think it's now time to upgrade and make a new modern one. Etsy also launched it's new layout in April 5th and just today, the layout took effect on my etsy store, JENNYL DESIGNS SHOP. I didn't like much the big logo that I first made as it looked so messy with all the previews of my products so I decided to make one today and thankfully, I made a nice and neat one. 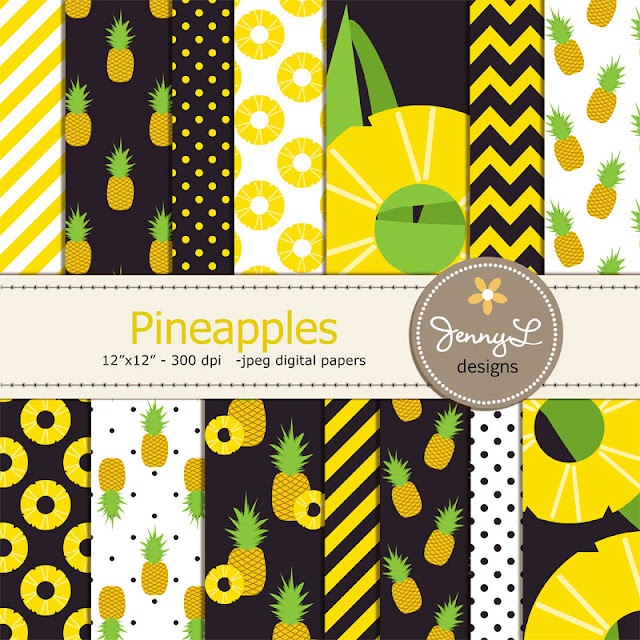 Another Pineapples Digital Papers, Pineapple Slice for Aloha Hawaiian Birthday Party, Summer Fruit, Black and Yellow Theme Papers set that I made. I think the yellow and black combination make the pineapples more alive. 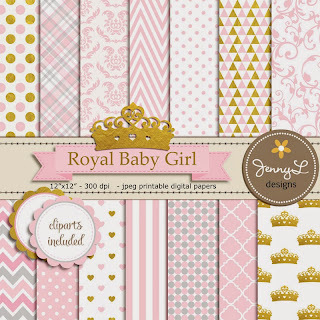 Use these papers in your digital scrapbooking and to create invitations, cards, tags, banners and more. 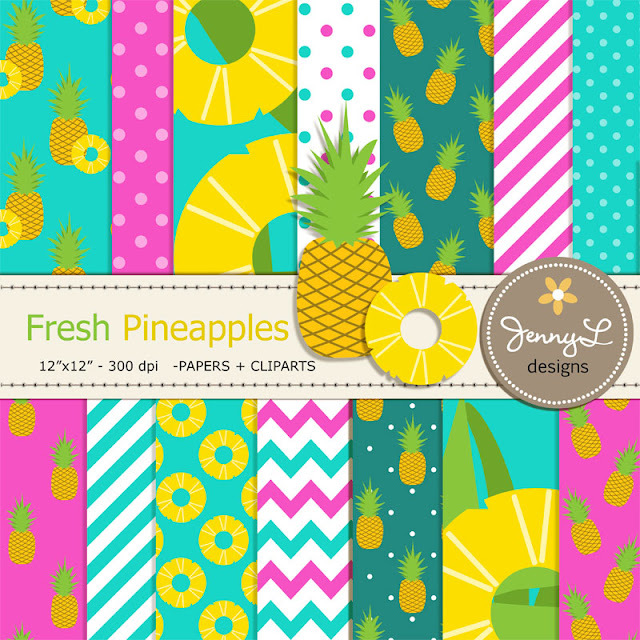 Oh I must have been missing summer and pineapples lately that I made this Fresh Pineapples Digital Papers and Cliparts, Pineapple Slice Aloha Hawaiian Theme Birthday Party, Summer Fruit set. Actually I missed eating fresh pineapples everyday like what I used to do during summer time. Since it's rainy seasons here in our part of the world, pineapples are not really in season. Although, I can see some Formosa type of pineapples in the market, nothing beats the pineapples harvested during summer time. Anyway, here is what I made.. Love the color combination too! Maybe a little bit late for a Back to School Sale but sale is still a sale .. right? 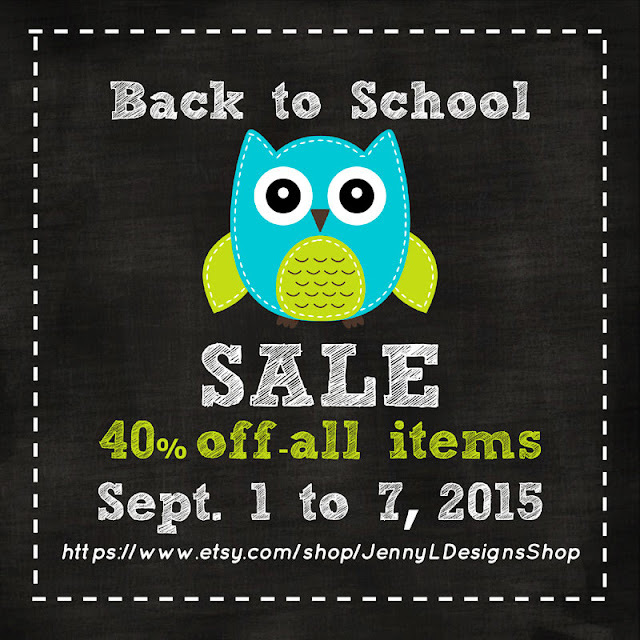 Head over at my ETSY store and fill your cart as I am having a 40% OFF BACK TO SCHOOL SALE or Christmas in September Sale until Sept. 7th . 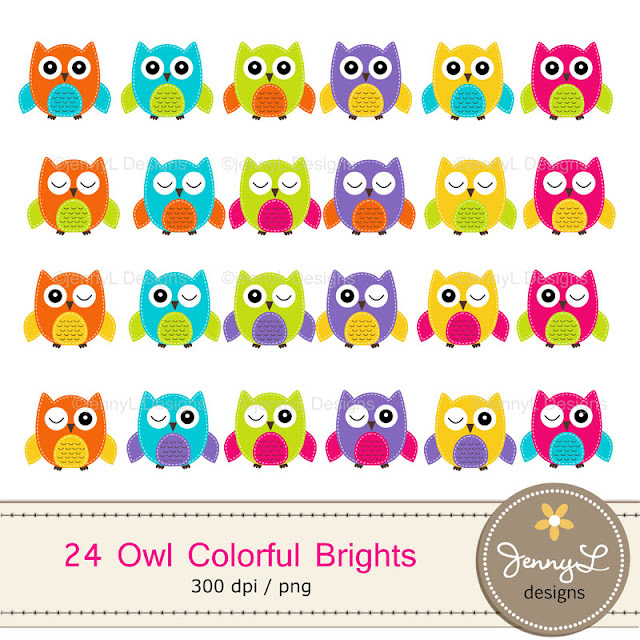 These Stitched Owl Clipart in Colorful Bright Solid Colors for Teachers are ideal for creating various art projects, classroom decors, teaching materials, digital scrapbooking, making invitations, other creative fun projects at school or home. Oh wow.. this is going to be big at TpT! There is a site-wide Back to School Sale at Teachers Pay Teacher (TPT) on August 3- 4, 2015..
My store is very much ready so take a look! 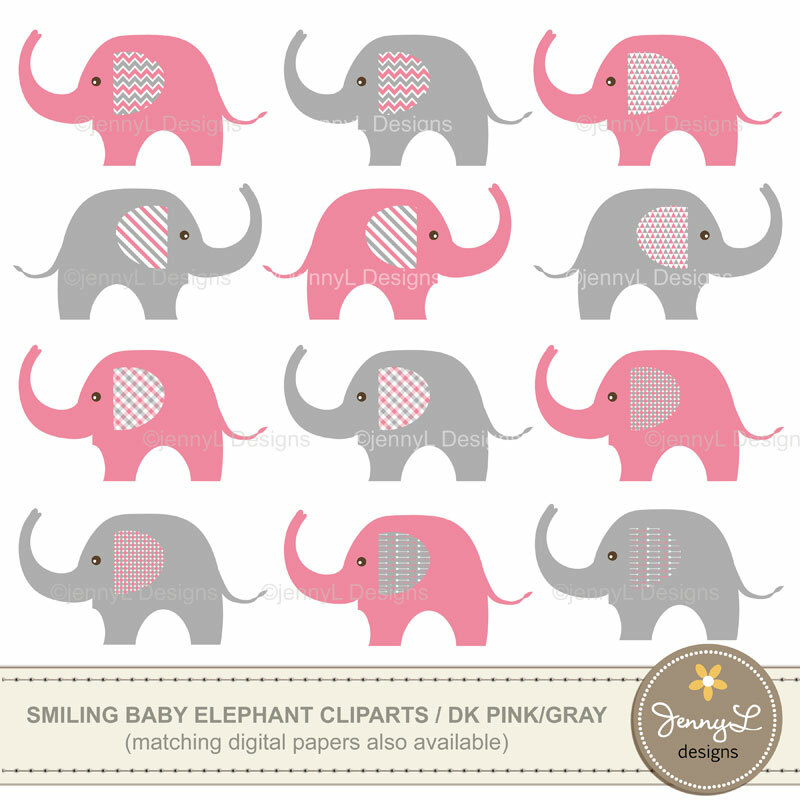 I have lots of goodies in store JENNYL DESIGNS..
To match the Dark Pink and Grey digital papers, here are some cute elephants that you can download and use for any projects that you might have. Please, don't share the download link.. Just send them over here at my website. When I first opened my Etsy store, a year ago, I'm a bit worried if I'm going to have sales but I was surprised. Turns out that I'll have customers from all over the world and I'm so happy about that. 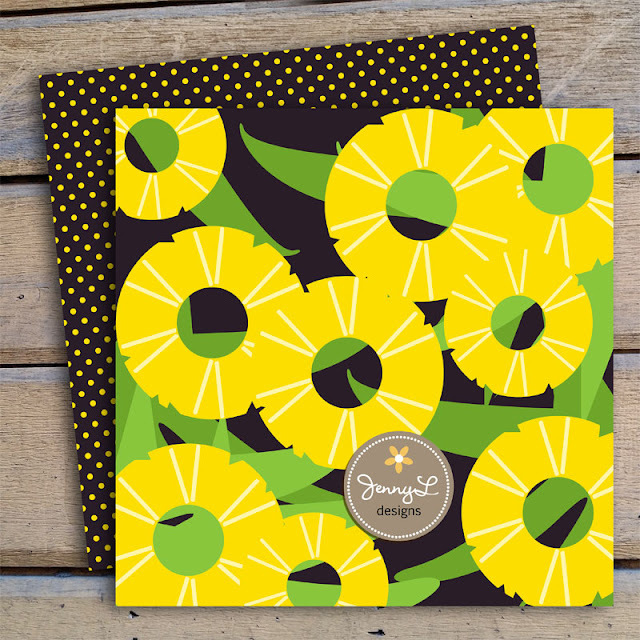 To celebrate my shop's 1st Year Anniversary, I'm having 50% off on all Digital papers, cliparts and more... plus some freebies. Thank you all! Now, it's time to eat some cake and ice cream ! 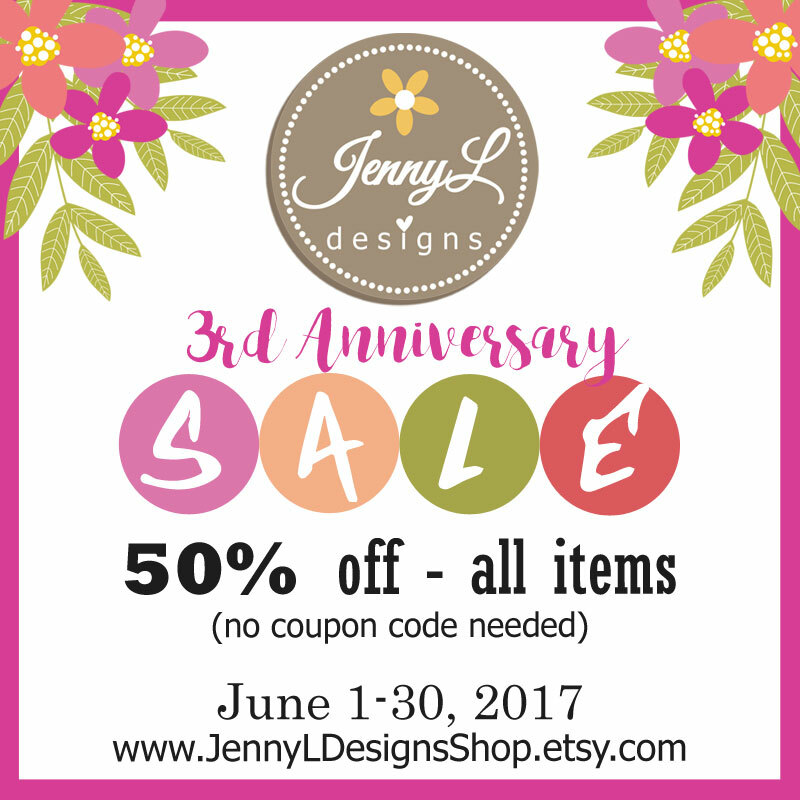 My etsy store, JennyL Designs Shop will be celebrating its 1st year Anniversary on June 7 and I'm so happy share a freebie for you all. Dark Pink and Grey Digital Paper is great for any of your scrapping needs and for any birthday or other party theme events. Please don't share and sell.. Just lead them to this page. Thank you and enjoy! 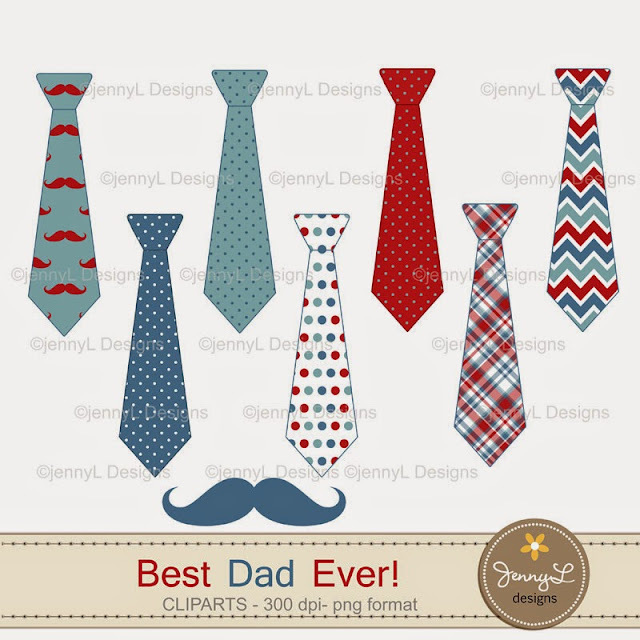 Create wonderful greeting cards, invitation, cup cake toppers, banenrs and more for your father or any man in your life using this FATHER'S DAY digital papers and clipart. 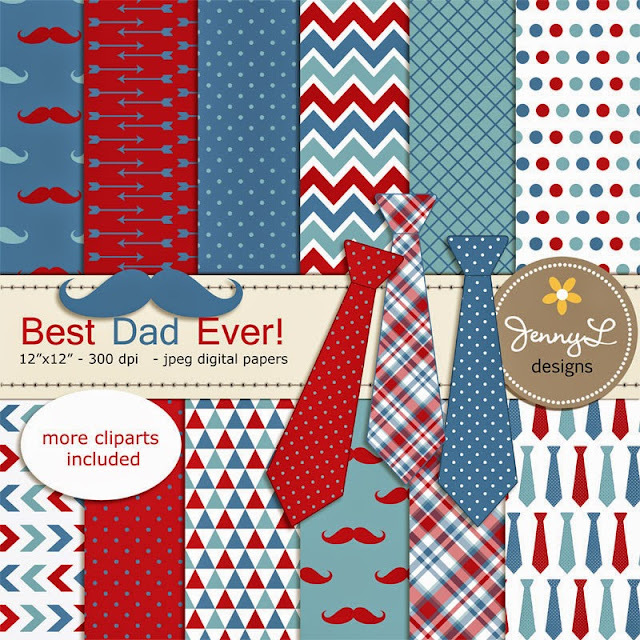 I created these papers with my dad in mind. You can use these for Personal and Commercial use. 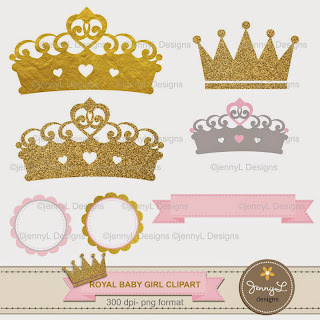 This Crown Digital papers and Clipart, Royal Princess Girl Baby Shower digital papers and cliparts are fit for your lil 'princess. 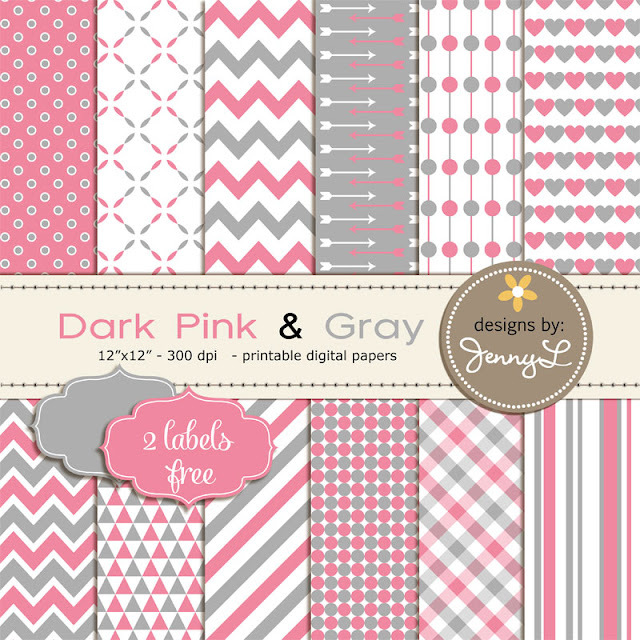 Use them to create various art projects such as scrapbook layouts, invitations, banners, buntings, greeting card, labels, gift tags, stickers, and more. NOTE: Preview images are low quality. Actual products are sharp and of high quality. 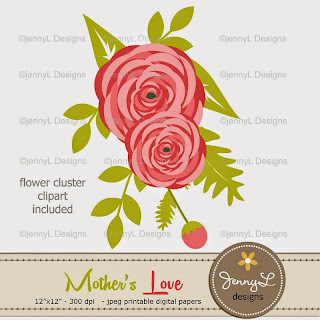 Mother's day this year is on Sunday May 10th already and do you already have something for your mommy, mom, mum or mama? Moms need not expensive gifts all the time because little things can really make them happy especially when you give her something from your heart. 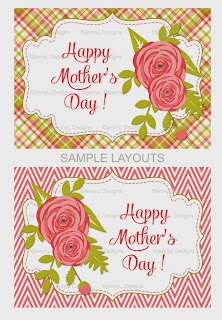 Create a wonderful Mother's day card, bunting or whatsoever with this Mother's Day Digital Paper and Flower Clipart that I made especially for moms. Check it out at my store. Hi, I'm Jen, welcome to my blog. I've been designing digital stuff since 2007. 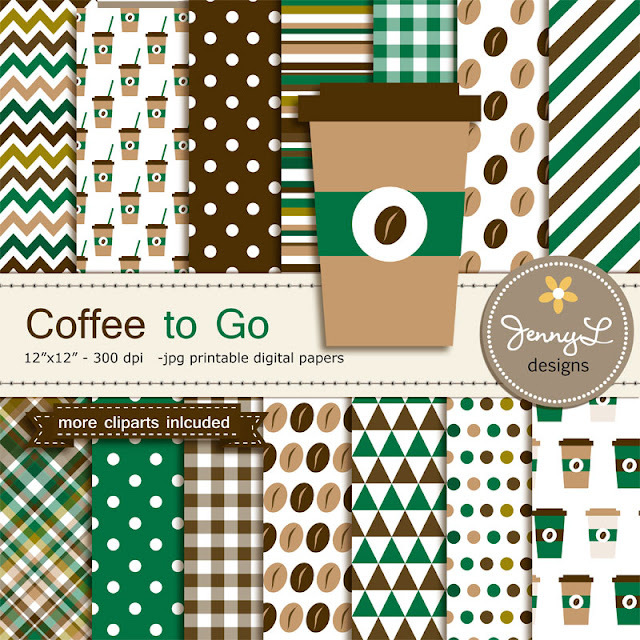 I love Digital scrapbooking aside from cross-stitching. 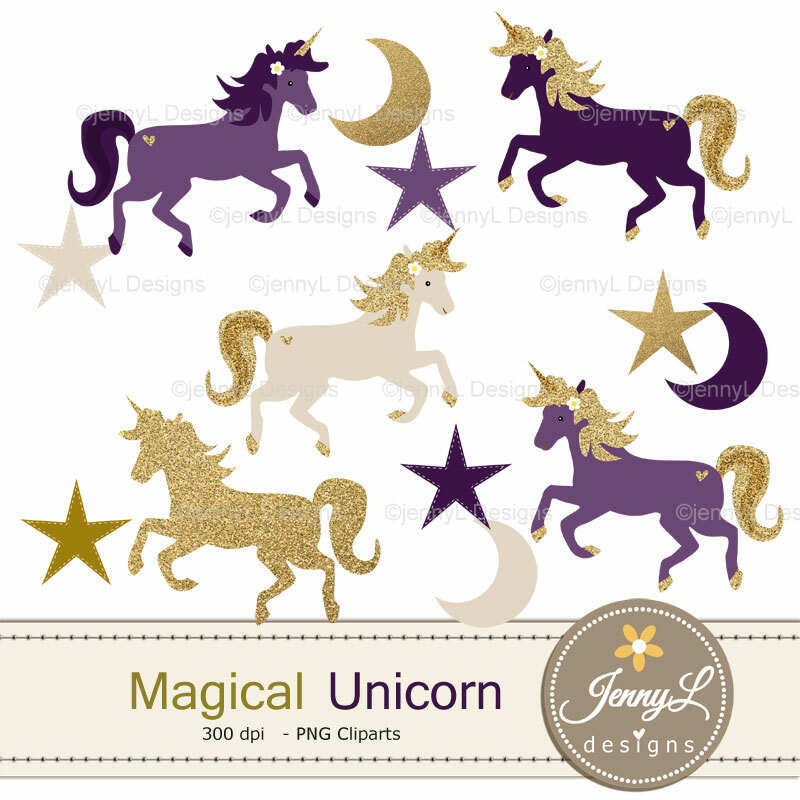 Keep updated with my latest digital papers, cliparts and more by following me at this blog and my other social media accounts. 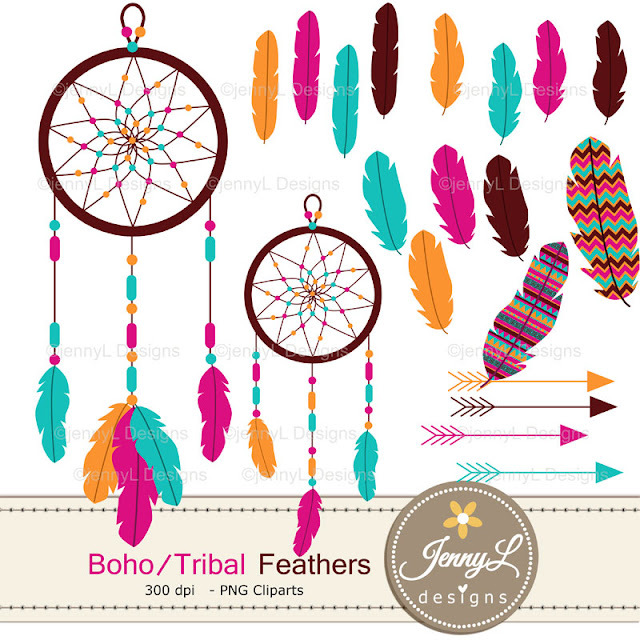 Feel free to contact me at jennyldesigns ((at)) yahoodotcom for your queries and all.. Thank you!